Almost a year ago, we reported from Witney, where cuts to the local bus service in David Cameron’s constituency threatened to leave residents stranded. For many of its most vulnerable residents, the loss of a bus service to connect the town with outlying estates would have been devastating. Over the past year, local Labour & Co-operative councillors, working with the community have been stepping up to find a solution – one that puts the needs of the community before the profits of the big bus companies and government cuts. And today, West Oxfordshire Community Transport (WOCT) takes its first passengers. Timetables, fares, and the routes that people in the area rely on won’t change, and bus passes will be accepted as before. But one thing will be different: for the first time their buses will belong to the community itself, run for passengers, not profit. As a Community Benefit Society, anyone can join and become a member of WOCT, enabling them to get involved in the running of the organisation and to support it as it develops. And while the big commercial operators might have struggled to turn a profit on these two local routes, that’s less likely to be a problem for this group. As a not-for-profit organisation, all WOCT’s income will be ploughed back into improving the service for the community, not siphoned off for shareholders. Of course – it’s modest beginnings. WOCT runs two routes, on an hourly timetable, using a converted 15 seater (wheelchair accessible) white van. While it employees a full-time driver, much of the organisation, for the time being, relies on the goodwill of the community and local volunteers. But the concept of local transport being run for people, rather than profit, is a radical one – and an idea which we believe time has come. The example of HCT Group shows us what’s possible. HCT started life back in 1982 in much the same way, when a handful of volunteers founded Hackney Community Transport to provide low cost minibuses for local groups. These days HCT employees 800 people with a fleet of 500 buses and a turnover of £44.2m, and is actively taking on the stranglehold the big bus operators have over the local bus market in many communities. And so, whether big or small, change is coming to UK local transport. With the Government’s Bus Services Bill approaching its second reading in Parliament in just a few weeks time, there’s a huge opportunity to give communities greater scope to take control of local bus services, to support the growth of existing community bus operators, and to engrain the principle of people, rather than profit at the heart of how local transport works. 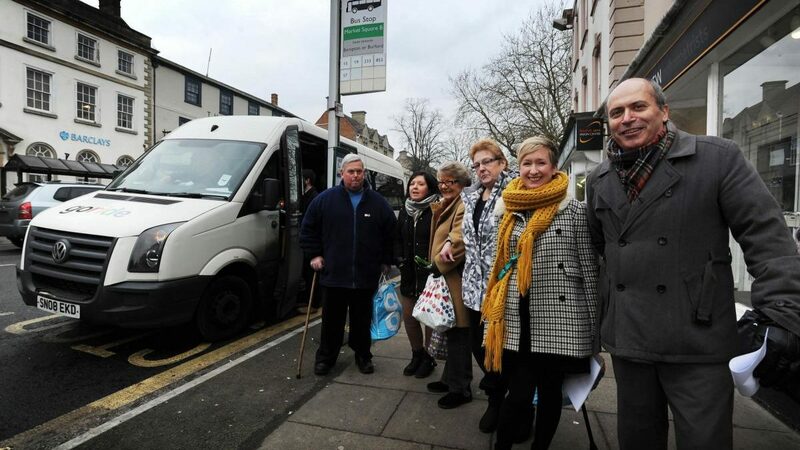 With your support, our MPs will be in Parliament making the case for doing just, inspired by the examples of hundreds of Labour & Co-operative councillors like those in Witney who are working with, not just for, their local communities to deliver a true People’s Bus service.